Graphics cards are by far the most interesting topic we cover at PC Perspective. Between the battles of NVIDIA and AMD as well as the competition between board partners like EVGA, ASUS, MSI and Galaxy, there is very rarely a moment in time when we don't have a different GPU product of some kind on an active test bed. Both NVIDIA and AMD release reference cards (for the most part) with each and every new product launch and it then takes some time for board partners to really put their own stamp on the designs. Other than the figurative stamp that is the sticker on the fan. One of the companies that has recently become well known for very custom, non-reference graphics card designs is MSI and the pinnacle of the company's engineering falls into the Lightning brand. As far back as the MSI GTX 260 Lightning and as recently as the MSI HD 7970 Lightning, these cards have combined unique cooling, custom power design and good amount of over engineering to really produce a card that has few rivals. Today we are looking at the brand new MSI GeForce GTX 780 Lightning, a complete revamp of the GTX 780 that was released in May. Based on the same GK110 GPU as the GTX Titan card, with two fewer SMX units, the GTX 780 easily the second fastest single GPU card on the market. MSI is hoping to make the enthusiasts even more excited about the card with the Lightning design that brings a brand new TriFrozr cooler, impressive power design and overclocking capabilities that basic users and LN2 junkies can take advantage of. Just what DO you get for $750 these days? Continue reading our review of the MSI GeForce GTX 780 Lightning graphics card!! As the name might let on, MSI's update to the Frozr cooling series uses a set of three fans rather than two with some interesting additions like independent controllers and targets. The outside fans are 90mm while yellow, interior fan is smaller at 80mm. Both black fans are controlled by one fan controller while the center one has its own for better flexibility depending on which components need the most cooling at any given time. By separating the controllers MSI can lower noise levels by only increasing fan speeds when necessary. The left fan currently links directly to the GPU temperature, the center fan the PWM temperature and right fan is connected with the power temperature. Obviously since both 90mm fans are controller by a single voltage line, an increase in temperature at either the power of GPU temperature points will cause fans to spin more quickly. These fans also continue to use the MSI Propeller Blade technology that can move a lot more air at lower fan speeds (and hopefully noise levels) than competing fans. A heatsink capable of 550 watts of dissipation is at the heart of the TriFrozr cooler and includes 7 8mm SuperPipes to draw heat from the GPU out to the fins. The base of the cooler is nickel plated copper and is a HUGE surface - GK110 is no small piece of silicon. 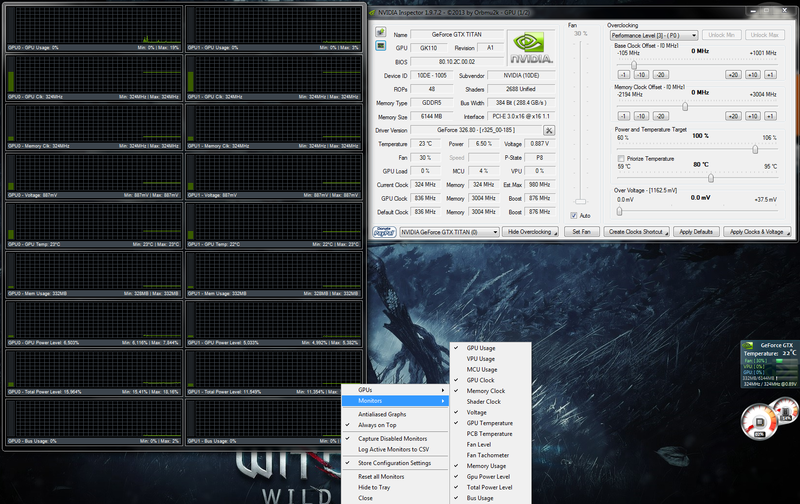 Obviously a 550 watt limit is pretty extreme here and leaves plenty of room for overclocking and overvolting. MSI has integrated two additional heatsinks on the front and back of the PCB. The top heatsink covers the VRM modules and memory chips while the back heatsink does some work by dissipating the heat from the rear of the VRM components. Another benefit of the back heatsink is that it adds a lot of strength and rigidity to the card preventing flexing while installed. Inside the fin array of the TriFrozr is a groove that MSI claims will help prevent "dead air" situations that can stagnate air movement over so many surfaces. With the issues that AMD's Radeon HD 7990 has had in some installations with air movement it is nice to see MSI address this ahead of time as it is also using a three-fan cooler. At the top of the heatsink shroud you'll find an LED light that illuminates the word "LIGHTNING" and also indicates load levels in one of three states. I find it interesting that MSI chose to use power consumption as the key factor here and I would also like to see them add support for adjusting those factors in software. In the box MSI has included an additional MOS heatsink that goes over the power components on the right hand side. While easy enough to install, why MSI didn't just add this to the default cooler confuses me. Actually this heatsink is used if you remove the stock cooler and install either LN2 hardware or water cooling. Check the update on the last page - actually running at 1241 MHz. ALL of the kepler cards have a Max Boost different to the official Boost. It isn´t only about MSI Lightning. Everyone card has a unique Max Boost, different to the official boost of the model and other units of it. ALL of the kepler cards reach upper clocks than the official boost that GPU-z shows. The GPU reactor can be taken off without any impact on performance, as it only starts to shine when watercooled or LN2 cooled. Ah cool, thanks for that! I'll try removing it tomorrow. You should give EVGA a call and get a sample of their GTX 780 Classified and compare it to this since both tend to trade blows. i just got an idea on how to improve the graphs you give out with these Frame Rating (although they are very interesting to me being an AMD user). the idea is to give 'highlight' of the performance and actually give the number of the observed FPS 2-5 times per benchmark, just the observed because that is the one that matters. another thing could you make the graphs stretched a little by cutting out the bottom portion of the graph. example: if all the FPS is above 20, why show the graph part under 15. this would be to give a little more clarity when just looking at the graphs in the article with out clicking on a particular graph to get the bigger picture of it. Thanks for the ideas. I'll play around with trying to make them more readable in the coming weeks! cool: thanks Ryan. Keep up the good work. Hi Ryan, I was wondering if you could include an average line on the observed FPS graph or state the average. Like on this graph. Or is there a reason why it is left out? It makes it easier to compare with what other review sites report. overclock the dam thing and then people might care about this panzy review. oc max vs calssified oc max vs gtx titan oc max at 1.35v. you won't because that's way above your skillset as usual ryan. And he overclocked it to a level the typical gamer will use on this card. Not everyone wants to massively clock their card just to see high numbers pop up on a screen once a graphics test is done because they lack any real sense of achievement in life that they feel great about dialing some numbers into an electronic device to make it run faster. Most people don't particularly care about that they just want a little bit of extra power and safe temps while gaming. Yes this card is for overclocking and he overclocked it but the option is there should you wish to push it further. This doesn't mean a standard consumer who has no interest in number chasing cannot purchase this card for their own use to play games on a Titan level for less money. Is it possible you are concerned as to what the new Lightning can achieve? 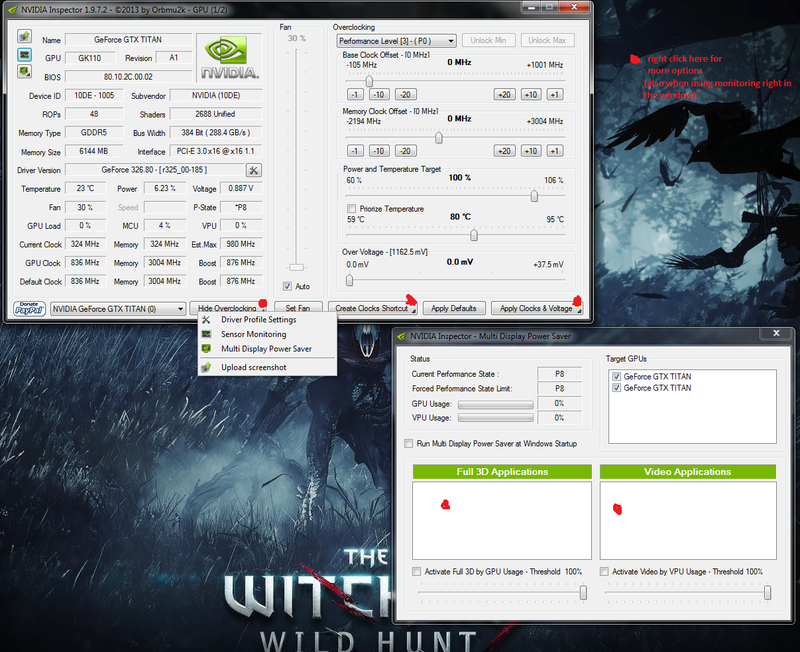 My Galaxy HOF is completely stable at 1293mhz on the core under gaming and can push 1330mhz for synthetic benchmarks. Lets hope the Lightning can at least exceed these. I myself am however just a normal gamer and not big into overclocking because its not my main focus to number chase. I have more interesting things to do with my time. Second, max OC vs max OC is probably one of the worst indicators for basing a conclusion of a graphics card on. It's important, but can't be the only or even primary concern. Why? VARIABILITY. Each card sample is going to be different on the Lightnings, each is going to be different on the Classified, and the difference between the lines is likely going to vary even more. I can overclock this card further (and I will I'm sure once I get the updated BIOS from MSI) but even if I get 50 MHz additional clock doesn't really mean YOU or any buyer will. Now if MSI were to send me a dozen cards for each review we did, you'd have a better argument. Great response, lol, you rock dude. way to poop on him. On the first comparative graphs, you reference the 680 and the 680 sli, but not the 780? If you are looking at THIS page then you are just seeing our explanation of the TYPE of graphs you are going to see, not the specific results for this review. Did you JUST NOW figure out that GPUz doesnt show the ACTUAL boost clock? Wow guys... I love your reviews but holy cow, pull it together! So does this mean all your past reviews with boost clocks will need adjusting to show the actual clocks reached? ANother question, did it actually HOLD that clock with the 109% limit or was it all over the place? I ask that as I am not sure if PEAK values are what should be reported. I am personally torn. I know that 109% limit was hit VERY easily. The extra cooler does NOT go on top of the other one. It is used when you go Dry Ice or LN2 as the full cover bracket that comes with it can get in the way of mounting plates. Something I noticed, and maybe I missed it in the review, but I've been seeing a lot of problems with benchmarking on Windows 8 and it not being accurate due to Real Time Clock issues? Is that something that was noted in the article or was the hotfix applied? Why for the dirt and skyrim config page screenshot do you show 1080p but show results in 1440p? Settings screenshots show the SETTINGS but the resolution is variable. Many times we test at 19x10, 25x14 and 57x10. What is the max the voltage can be set to? 100mv in after burner (SE version) with voltage control enabled in settings. but you won't be able to save. i made my own bios which allows me to get better clocks then the MSI bios. but i still need to find a way to raise the 1.212 too in bios itself. i was doing some reading to get more research on where it overrides the bios chip in regedit. GPU-Z does not misreport the boost clock, but neither is the boost clock is not the actual maximum speed of any Kepler part. The discrepancy is because of GPU Boost. Effectively, Kepler has an additional boost on top of that boost clock, which comes into play if the card is still within certain thermal and power thresholds. I'm sure you guys have noticed from well before that just about every GTX670 runs way higher than its rated 980MHz boost clock. Nice review Ryan, I really like the design of this card and some very nice performance numbers there. Just like to also say you guys at pcper.com do a great job with your hardware reviews. Surely at that price point they could have gone 4GB? Seems needlessly gimped on paper. The GK110 chip on the GTX 780 and GTX Titan has a 384-bit memory interface which means it'll only support VRAM of 1.5GB, 3GB, 4GB etc. As far as I know, NVIDIA has restricted board partners to only have 3GB on the GTX 780's to better differentiate them from the GTX Titans. Sorry. I meant 1.5GB, 3GB, 6GB. This multi functional tool btw. is also kind of a holy grail to image quality lovers allowing you to set SGSSAA with custom AA-bits in the profiles of DX9 games or enhance ingame MSAA to SGSSAA (not that good in DX10+, driver based downsampling combinded with ingame-AA looks better in that cases). But there are a lot more options. Another cool thing is that you can also use custom SLI-bits if the scaling isn't that good by default NV profiles when there are no official updates available from Santa Clara. It also comes with some nice monitoring graphs or mdps (multi display power saver). With mdps you can force the GPUs to clock in P8 or P12 state @ Fermi, and here mdps is very usefull - even with one display, allowing you for example to watch 720p material running smoothly @ P12. 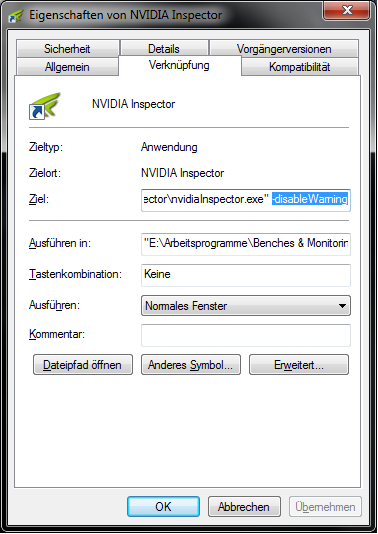 Note that for overclocking you need to run Inspector as an administrator since NV driver branch R325. P.S. : You don't need to use a manuell negative LOD bias adjustment for SGSSAA in most cases any more because NV sets it by default for all possible levels when setting SGSSAA. I forgot to mention that when you want to use OC and don't want to accept the warnings all over again, that you should make a link to the nv inspector.exe, right click -> properties -> target -> add " -disableWarning " like shown below. It's too early to tell how good this card is going to end up. The 680 Lightnings were strong cards, but when they got released, they did not even had the voltage lock. Air cooling tends to top out at about ~1.4 to 1.425V, so judging by Ryan's results, a mid 1300s OC is achievable, with a 1400 perhaps for benchmarking. That will represent the upper limit of what air cooling will do. Out of curiosity Ryan, how was the cooler? Is this new 3 fan design better than the 2x 100mm fans of the previous generation? any input will be helpful please. Okay need some help please? I have just recently upgraded my rig. So here is the issues my graphics cards running in crossfire I just don’t seams that I get the performance that I should be getting low frames rates in servile games? 1. Current Driver for the Graphics card I have used Both, Not really much improvement with either of them. So are they just S*&t cards or what, so I have been Kicking around the idea of just buying a MSI N780 LIGHTNING GeForce GTX 780. And selling my AMD cards. So my question is will I SEE A NOTASBLE PERFROMANCE INPROVMENT with this card over my AMD cards? And is it worth the money? Now first I need you to understand that I work a lot of hours and when I am home I just want to turn on my computer and game not really in to the over clocking thing a lot now I will OC my chip but other than that just want to game. Now if there is a simple fix for my current Graphics card that fine but really just want the performance sit down and go? HELP??????? You're using AMD cards. Thats the problem.